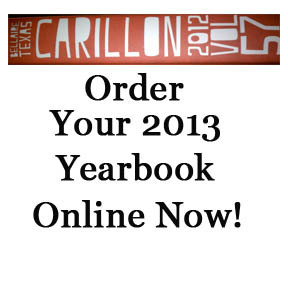 Yearbooks are for sale! Up until the first few weeks of January, we will be taking reservations for the extra books we order. They will be able to do so by paying $80 and placing an order at http://shop.balfour.com/smi72004/catalog/category/view/s/your-yearbook/id/312623/ OR on campus. The price will increase once more when the book is released.